We offer shipping to the US via United States Postal Service, ParcelForce, and FedEx. Please allow up to 4-6 working (business) days for delivery. If you purchase on a Thursday night, Friday or the weekend, you will not receive your shipping confirmation until the next Monday. Times quoted for delivery are for business days and only estimation. We cannot warrant that the dates will be exact. We are unable to be liable for any loss or damage either directly or indirectly that fails to deliver on or by a specified date. All orders over $50 will be accompanied by a Signature requirement. British Superstores Direct will NOT be responsible for any lost or stolen packages if your tracking number verified that your order has been delivered or is awaiting collection by you. 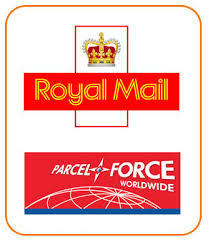 British Superstores Direct is not responsible for any packages that may be stolen at the delivery residence, or packages that go missing if the USPS, ParcelForce, or FedEx tracking number indicates delivery. Please note that if you do not sign and collect your package, it may be returned to us and we may request additional shipping charges to have it reshipped to you. Should you request a refund on a package that has been returned to us due to non-collection, a 35% restocking fee will incur. **Should you wish you cancel an order placed, you must notify us the same day that you placed the order. If we are not notified the same day, your order may have been already tendered to the carrier. We can ask the carrier to return it to us, however, a $10 charge will incur. This website, including all information, tools and services available from this site to you, the user, conditioned upon your acceptance of all terms, conditions, policies and notices stated here. These terms and conditions are effective as of May 1, 2015. Should your goods be damaged or lost during shipment, you must notify us within 14 days of delivery in writing via our website. If your goods have been packed in error and you have received the wrong shipment, you must notify us immediately, within 7 business days, and provide us with a photo of the shipment you received, including the original shipping box. When filing a claim of damaged, please include pictures of the damage or loss. We will send you a replacement of the damaged goods upon receipt of your email within 1-2 days. We will not issue a refund for damaged or lost goods, however we will issue a replacement if your claim has been made within 14 days of receipt. We are not obliged to deliver the goods to you if we are unable to do so as a result of matters which are beyond our reasonable control. Times quoted for delivery are for business days (non holiday and non weekend days) and an estimation only. We cannot warrant that the dates of delivery will be exact. We are unable to be liable for any loss or damage directly or indirectly due to failure to deliver on or by a specified date. We are not liable for any delivery delays due to carrier or customs errors, mistakes, or issues of any kind, as these problem lie out of our control. Most orders, and all orders over $50 required a signature by our customer. British Superstores Direct will NOT be responsible for any lost or stolen packages at your residence (if the tracking number indicates delivery) or for packages that have failed to be collected at your local post office. If you fail to collect or sign for your parcel, it may be returned by your local post office and we may require additional shipping charges to reship the parcel. While we work to ensure that product information is correct, on occasion manufacturers may alter their ingredient lists. Actual product packaging and materials may contain more and/or different information than that shown on our website. We recommend that you do not solely rely on the information presented and that you always read and follow labels, warnings, and directions before using or consuming a product. This product may not be right for you. For additional information about a product, please contact the manufacturer. Content on this site is for reference purposes and is not intended to substitute for advice given by a physician, pharmacist, or other licensed health-care professional. You should not use this information as self-diagnosis or for treating a health problem or disease. Contact your health-care provider immediately if you suspect that you have a medical problem. We assume no liability for inaccuracies or misstatements about products. Complaints regarding manufacturing errors or the suitability of your goods must be addressed directly to the manufacturer. Upon notification from you of these errors, we may provide you with contact information for the manufacturer. However, it is your responsibility to contact the manufacturer of your complaint directly. You agree to promptly notify us in writing via email should you wish to cancel your order. Your notification must be made on the same day and within 14 hours of the placement of your order to ensure we have not fulfilled and shipped the order to you already. For detail on returning unused goods, please review our Returns Policy. In no case shall British Superstores Direct, our directors, officers, employees, affiliates, agents, contractors, interns, suppliers, service providers or licensors be liable for any injury, loss, claim, or any direct, indirect, incidental, punitive, special, or consequential damages of any kind, including, without limitation lost profits, lost revenue, lost savings, loss of data, replacement costs, or any similar damages, whether based in contract, tort (including negligence), strict liability or otherwise, arising from your use of any of the service or any products procured using the service, or for any other claim related in any way to your use of the service or any product, including, but not limited to, any errors or omissions in any content, or any loss or damage of any kind incurred as a result of the use of the service or any content (or product) posted, transmitted, or otherwise made available via the service, even if advised of their possibility. Because some states or jurisdictions do not allow the exclusion or the limitation of liability for consequential or incidental damages, in such states or jurisdictions, our liability shall be limited to the maximum extent permitted by law. You agree to indemnify, defend and hold harmless British Superstores Direct and our parent, subsidiaries, affiliates, partners, officers, directors, agents, contractors, licensors, service providers, subcontractors, suppliers, interns and employees, harmless from any claim or demand, including reasonable attorneys’ fees, made by any third-party due to or arising out of your breach of these Terms of Service or the documents they incorporate by reference, or your violation of any law or the rights of a third-party. Questions about the Terms of Service should be sent to store@BritishSuperstoresDirect.com.